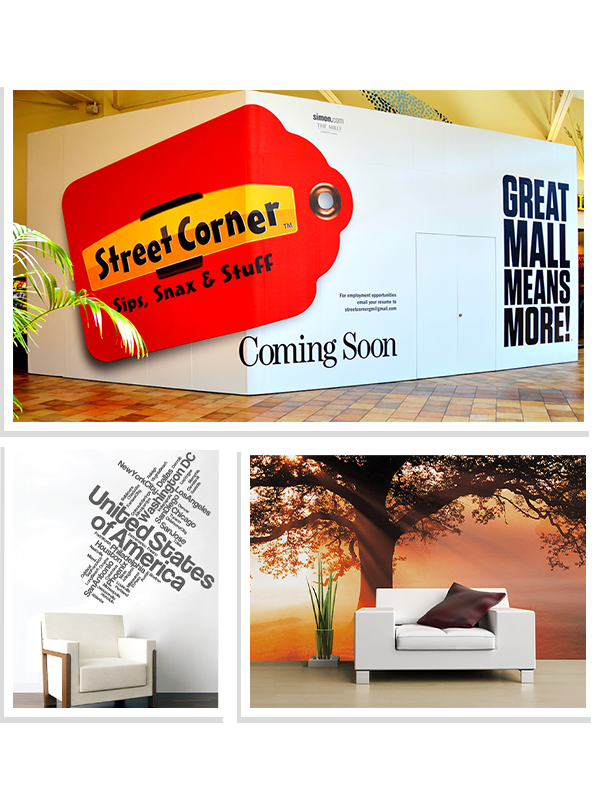 Transform Your Space with Custom Digital Wall Graphics, Wall Murals, and Floor Graphics. 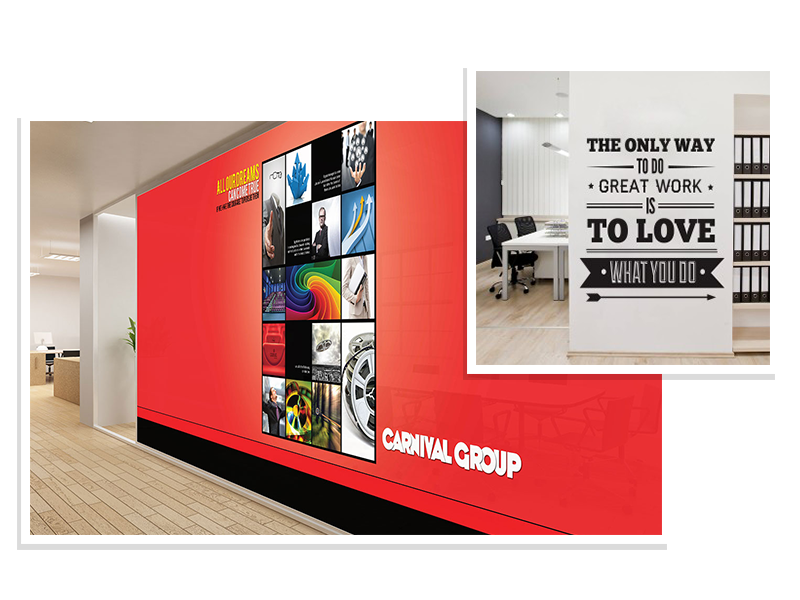 Wall graphics can be made in a variety of methods, from vinyl & digital decals to custom wallpapers, using any picture or design of your choice we can manufacture wall graphics in any size, & color, whether it’s your company logo or an image covering the entire wall. Our wallpaper media is a peel and stick, polyester fabric, adhesive media material that can be installed on virtually any surface and then easily removed without leaving a sticky residue. From short-term removable to long lasting permanent wall decals, we can do it all. Are you looking for a more personalized wall covering for your office or retail space? Perhaps you have a blank wall you could use as a canvas for bespoke wallpaper, or a wall mural. We can custom print any design to suit your needs. You may be looking to re-energize and brighten up an empty wall space or make an attractive entrance to visitors and your staff. Could you use a decorative statement in your retail area or cafe? We can offer a full range of options from simple but effective cut vinyl lettering or shapes, which can be used to portray your company motto to a full colour wall covered display. OPENING SOON! 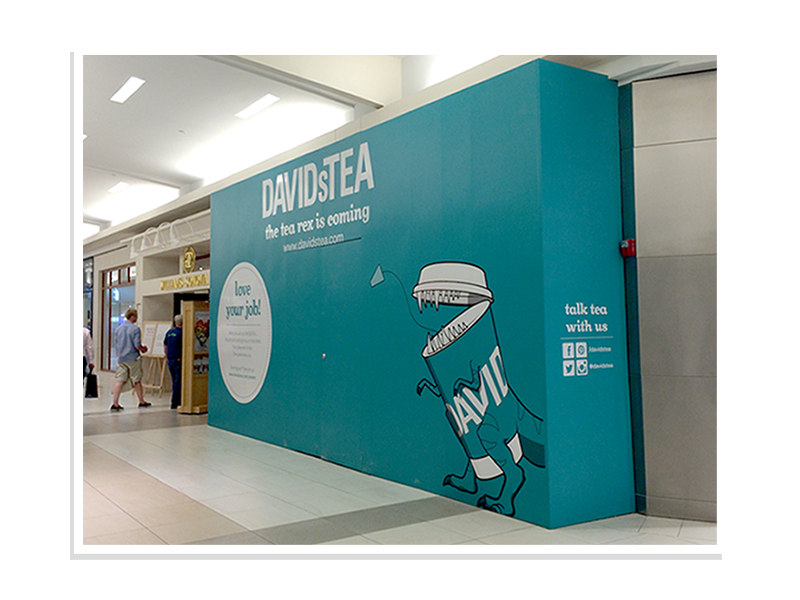 Site hoarding graphics is a great way to tell people that your coming. Building expectations to the people who are in your vacuity is a key component to your success. We are here to put your best foot forward starting with spectacular, quality graphics. Textured surfaces like brick, concrete block, tile, poured cement and stucco can be brought to life with powerful design and images quickly and cost effectively. Instead of using paint or traditional mounted signage and graphics we offer the latest in fully digitally-printed films that conform and mould to the surface texture, effectively giving a paint-like finish. These films are great for outdoor wall graphics branding and advertising and are easily removed after you've finished with them or need a change. Get your message across with a bold aesthetically pleasing floor graphics. 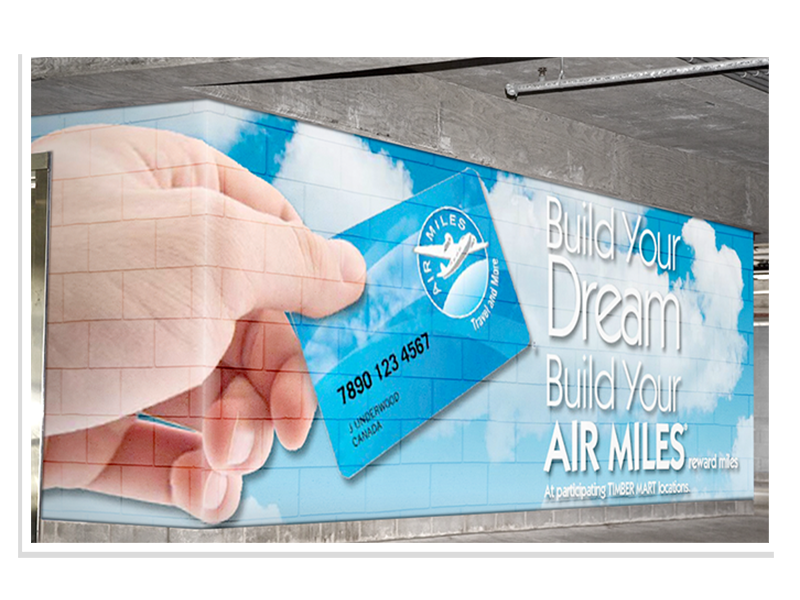 Design your wall graphics any way you want! Full color digital printing is available for all type of graphics.